Purchasing and installing a server is a complex task. Why not talk to Ensite, and we will take charge of the whole process, beginning with choosing a specification, through to final installation and configuration. Whether your company already has a server, and simply looking to replace it, or if you are considering purchasing and installing your first server for your business, give us a call, and we can give you a free, no obligation quotation to either supply the server, or supply configure and install the server in your business environment, and if this is a replacement server, we will migrate all your data to the new server. If you plan to use it as a simple “File Server”, we can setup users, folder shares, remote users etc as part of the installation, and if you plan to operate a domain, we can setup accounts, users, public and shared folders, remote users, email (including Exchange), meaning that you can concentrate on your business, and we will handle the technical stuff, delivering a fully functional server, seamlessly integrated into your business. 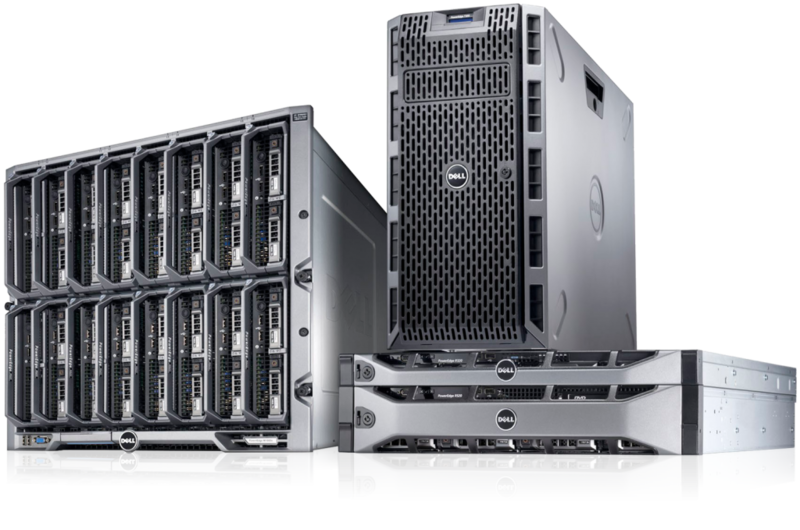 We can supply any brand, any configuration, rack or tower servers, also, as a Dell business partner, we get access to great deals and prices..